It’s hard to believe that one year ago Heart Niagara employees were preparing for the organization’s July relocation to Queen Street in Niagara Falls. Over the past 10 months, Heart Niagara and HeartCORE have continued to welcome patients, clients and the community into our new home situated in the heart of the Downtown’s Arts and Culture District. There are many perks to the Queen Street location including convenient access to unique shops, galleries, salons, cafés, and of course – restaurants! We were excited to recently learn that Cajun cuisine and music will soon be marching into The Q District. Willie John’s Big Easy – Musical Gumbo and Cajun Cuisine will be opening at 4683 Crysler Avenue. Owners, Bill Delingat and John Pickering say that the restaurant will be “dishing up the flavours of New Orleans” and that patrons will enjoy a truly memorable experience. Both Delingat and Pickering share not only a passion for music, but also a background in the entertainment industry. After playing in numerous groups in Canada and abroad, Bill Delingat worked as entertainment director for some of the biggest nightclubs and live theatres in Canada. John Pickering is the owner of Rhythm Ranch recording studio. The name, Willie John’s Big Easy, seemed like a natural choice as it combines the owner’s first names. It also salutes one of R&B’s most influential performers, Little Willie John. William Edward “Little Willie” John was an American rock ‘n’ roll and R&B singer who performed in the 1950s and early 1960s. His gospel-style vocals are described as being a precursor to the soul music that emerged in in the late 1950’s. 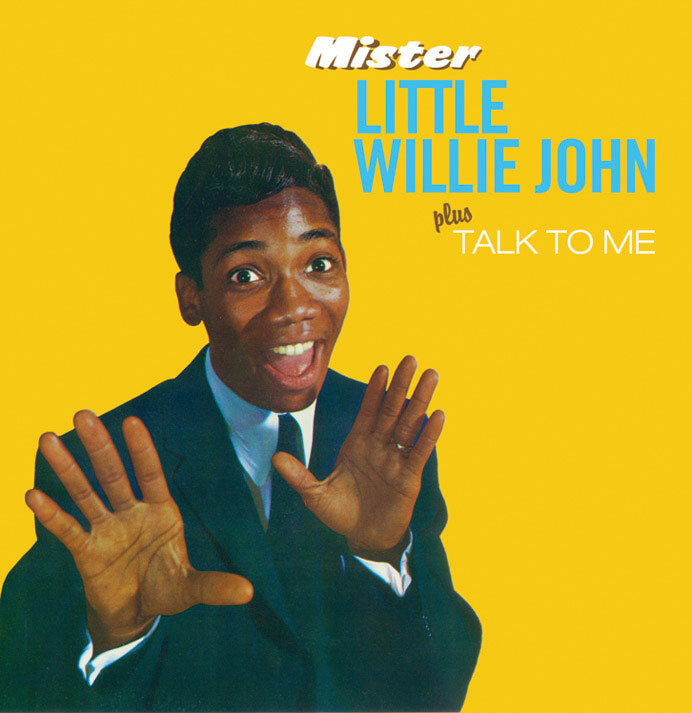 John’s impassioned vocals on such songs as “Need Your Love So Bad,” “Talk to Me, Talk to Me,” “All Around the World,” and “Take My Love (I Want to Give It All to You)” rank among the best examples of soul singing on record. Little Willie John made the Billboard Hot 100 a total of 14 times. A cover version of “Need Your Love So Bad” by Fleetwood Mac was also a hit in Europe. In 1964, The Beatles recorded his song “Leave My Kitten Alone” (1959). John was posthumously inducted into the Rock and Roll Hall of Fame in 1996. The life of Little Willie John was one of hope dashed by tragedy. He lived for a fleeting 30 years, but left an indelible mark on the history of music. His enormous technical and emotional range continues to inspire today’s musicians. Willie John’s Big Easy – Musical Gumbo and Cajun Cuisine are putting the finishing touches on their building and are aiming for a June grand opening. In the meantime, they’re participating in the Springlicious festival by hosting the Crysler stage, starting a 12 noon, on Sunday, May 28th. Fatefully, the date coincides with the 49th anniversary of the musician, Little Willie John’s passing. He died from a heart attack on May 26, 1968. Therefore, it made sense for Willie John’s Big Easy to support Heart Niagara by becoming a valued community partner of the organization. A CPR Blitz will take place on Sunday, May 28th, from 10am to 1pm, at Heart Niagara located at 4635B Queen Street, Niagara Falls. 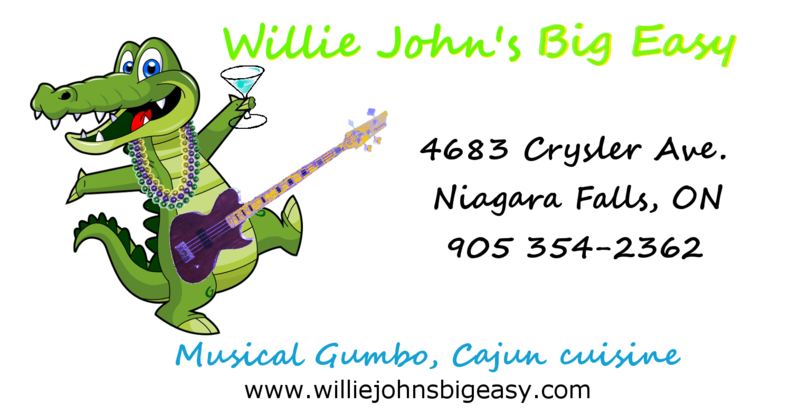 Heart Niagara welcomes Willie John’s Big Easy – Musical Gumbo and Cajun Cuisine to the Q District! Join us at Springlicious, May 26-28, and enjoy live music, food, drink, arts and culture. For more information visit springlicious.ca. SHOW YOUR SUPPORT FOR SPORT AND HEART NIAGARA! October 30, 2015 Heart Niagara Comments Off on SHOW YOUR SUPPORT FOR SPORT AND HEART NIAGARA! Bill Delingat, The Spectrum and partner John Pickering, Rhythm Ranch recording studio are opening Willie John’s Big Easy – Musical Gumbo and Cajun Cuisine, located in the Q Niagara Falls Downtown district.